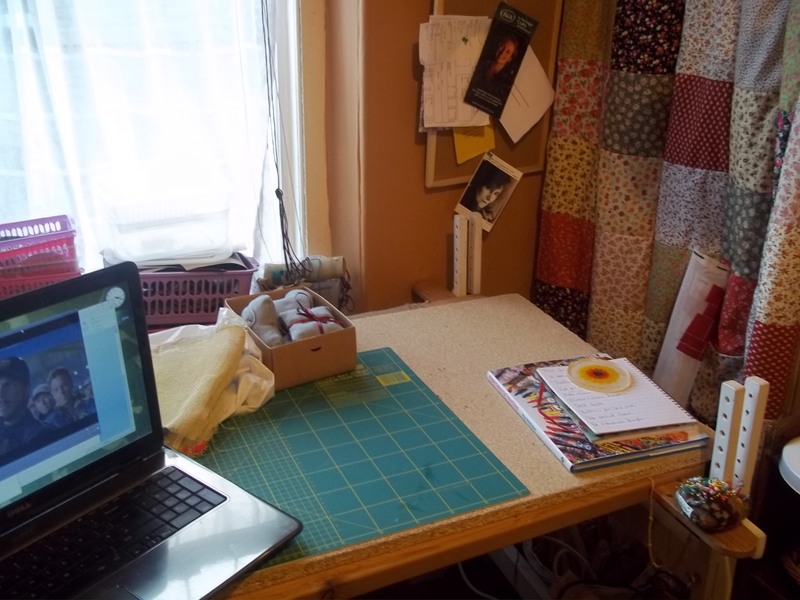 Been revamping the workroom. 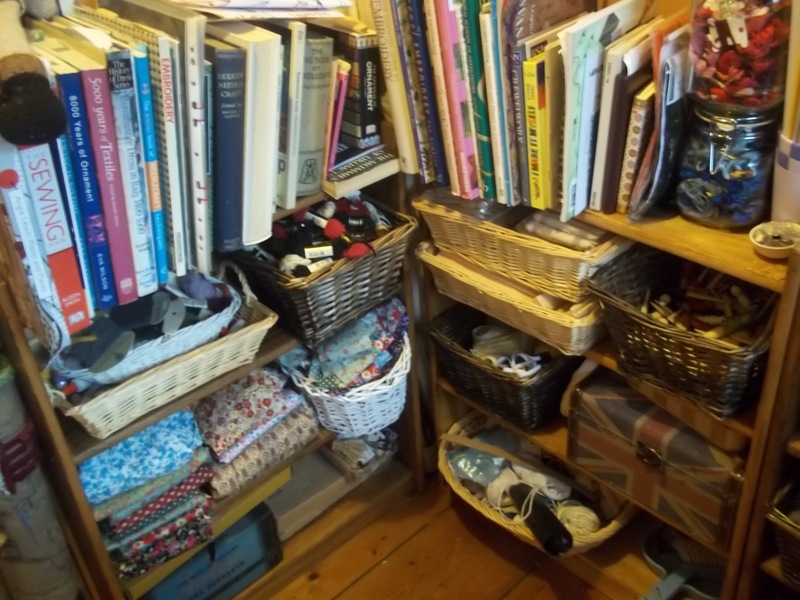 Haven’t been as productive as I would like to have been on the rag-rugging front because it had got into such a mess. Now I’ve forked out for a new sewing machine I felt obliged to get in order, besides as the temperature dives it’s the smallest room to heat. 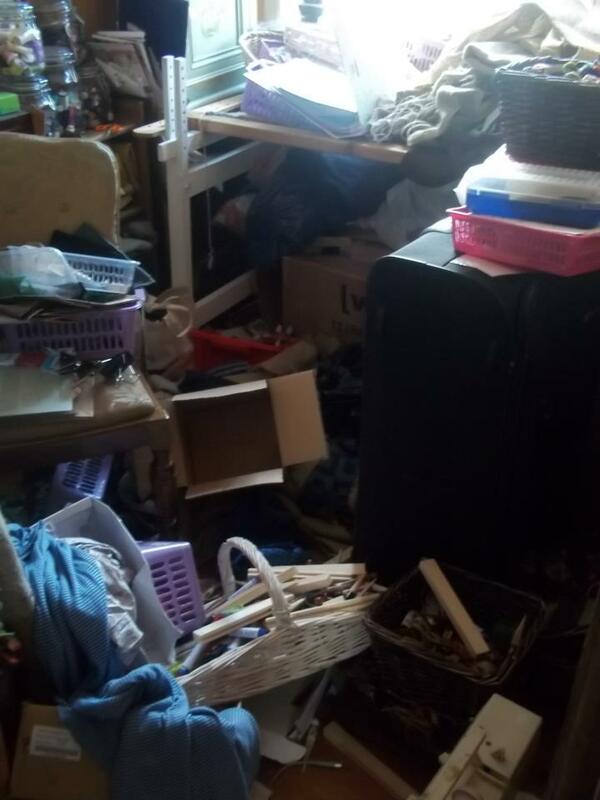 Beforehand it was all very practical but I’ve tried to make it a bit more of a creative space, somewhere I would actually willingly want to spend time rather than have to. Most of the shelf space has been given over to jars and baskets. 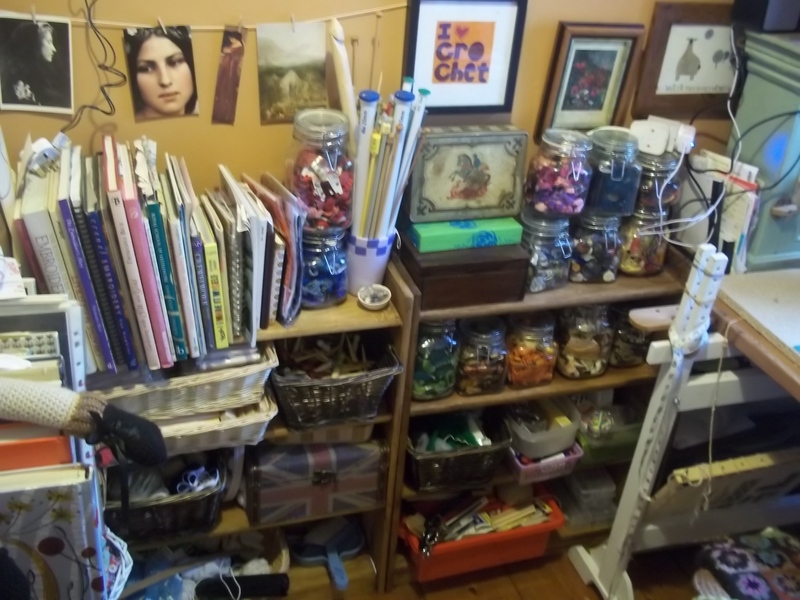 Rather than ferreting about a jumble of boxes to try to find something I can now just pull out a tub of adhesives, or reach for my basket of needle felting things, paints etc. Hopefully I’ll be more likely in an idle moment to just have a play. 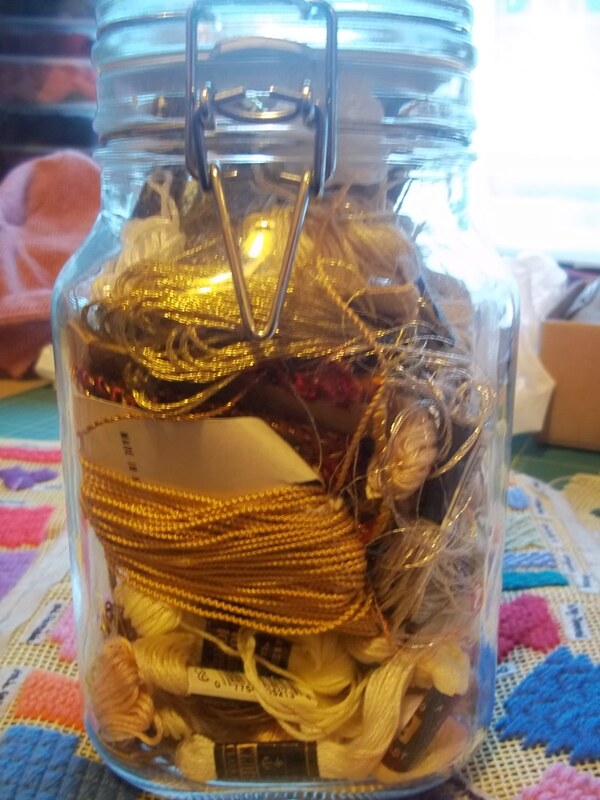 I’ve also put all my embroidery threads into jars, as well as some of my great grandmother’s threads. I don’t do much embroidery these days but you never know, now they are in sight I might just fancy it one day. I dismantled my frames and stored them in an old wicker bin. 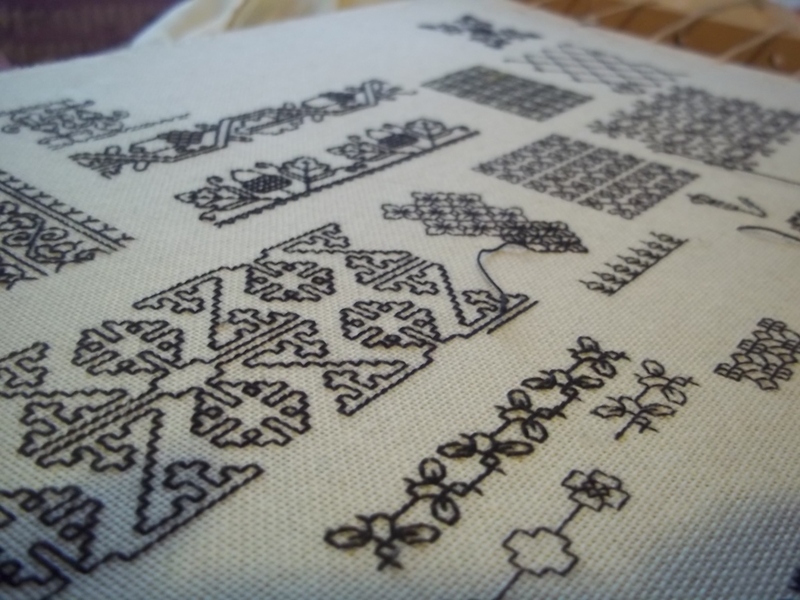 I also uncovered some abandoned projects including a blackwork sampler and a canvas work one. I had forgotten how much I used to love black work. 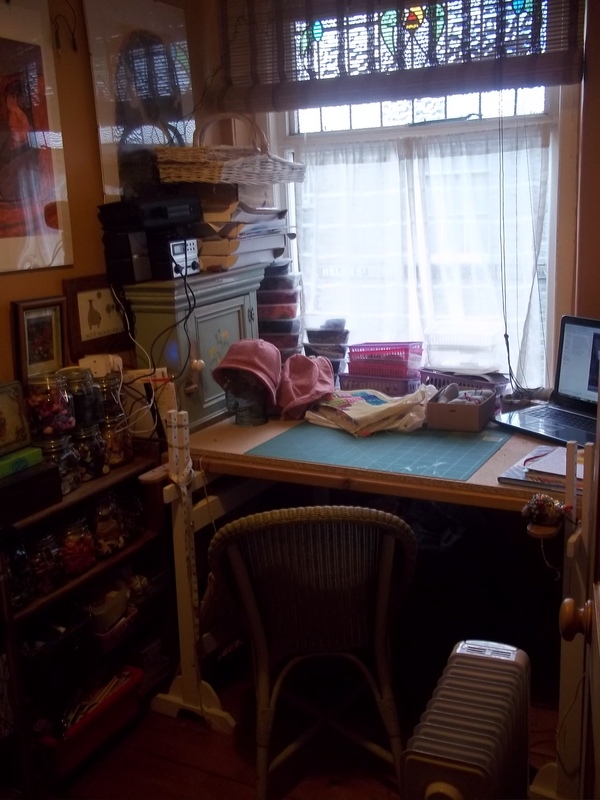 I put a thick piece of chipboard across my rag-rugging frames so I have an instant work bench when I need it, and I can move the chipboard away when I want to get rugging. I’ve put up fairy lights everywhere so hopefully it will be more inviting of an evening. I want to look out for some cheap spice jars and rack to sort my buttons into smaller colour coded jars. I’m lucky to work in front of a big window but it is a lot of blank space so I thought I would look out for a big plant to break it up. Ahem, oh alright then, this was the before. 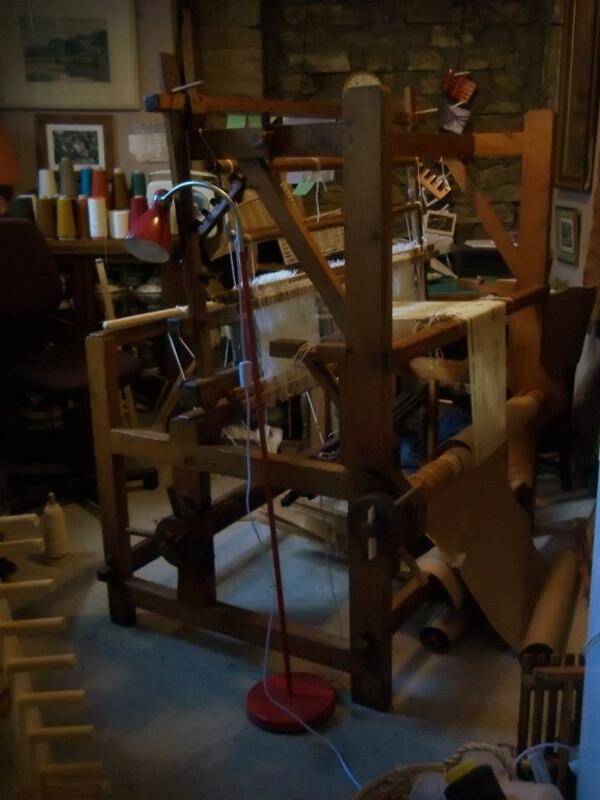 But in my defence it is a very small room, and I dumped everything in there after an event, and I was distracted by my new loom and well, I have been very busy you know. 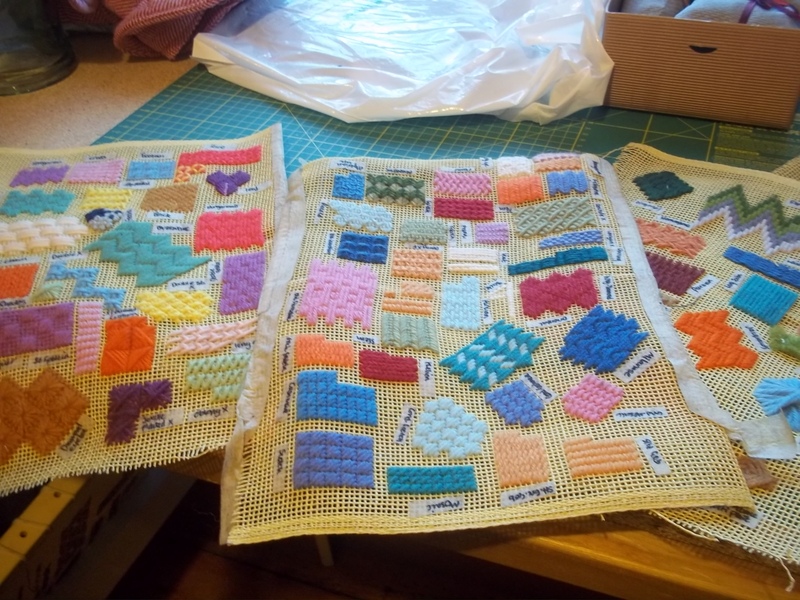 New tapestry underway – Two Marys, possibly three!